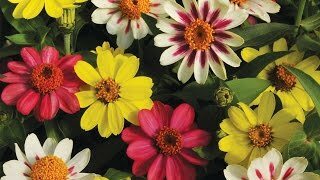 The large, 4-5" blossoms on the well-branched plants deliver great garden impact. Fine for hanging baskets and containers. GARDEN HINTS: Pinch off faded flowers and seed pods to encourage more blooms. 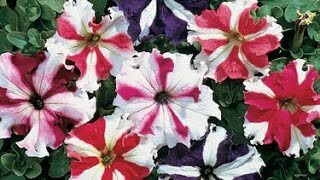 Petunia, Supercascade White is rated 4.0 out of 5 by 4. Rated 5 out of 5 by Lmali from Exceeded expectations! These wound up being huge, far larger than I expected, with blossoms around 30% larger than any other petunia I planted this year. Better germination too, around 85%, and every seed that germinated survived. My front porch pots and hanging baskets are overflowing and as long as I keep deadheading the blossoms just keep coming! Rated 5 out of 5 by Neri from Super beauty! Huuuuge flowers!!! Bought in January, started from seeds, so easy to grow, they did awesome, and now so pretty! Rated 5 out of 5 by SeattleCoug from Just beautiful! These germinated very well. They have grown in nice and thick with beautiful and huge flowers. This petunia drapes very well and is great for on the ground or in a basket. It's done very well in direct sun and doesn't require a lot of water or maintenance. Just a great flower!